Mitchell Ida adds a gourmet touch to kettle corn with Buttery Popcorn Co. When Mitchell Ida decided to get himself a gift last year, his “treat yo’ self” item of choice was a bit different than most. Rather than a big-screen TV, a fancy Swiss timepiece, a mountain bike, or any of the other big-ticket items someone might lavish themselves with, Ida had his eye on the gleaming allure of a stainless steel, professional kettle corn maker. booths, cascading out golden waves of popped kernels that are scooped up and transformed into the colorful offerings with creative flavorings like Matcha and Chile Limon that have become the trademark of his kettle corn company, Buttery Popcorn Co.
Today, however, many farmer’s markets and food fairs in the Los Angeles area can count on Buttery Popcorn Co. to serve up the sweet and salty treat. Smorgasburg L.A., for example, a food and retail fair held on Sundays in the Downtown area, is one of Ida’s largest regular events. Due to the high demand and popularity of Smorgasburg, Ida hired additional help, bringing on staff to help with sales, bagging and kettle operation. For the most part, however, Ida is a one-man show, popping, bagging and helping customers solo at markets everywhere from Highland Park to La Puente to Lincoln Heights. Hard-working but also innovative, not only does Ida rarely have a day off from making and selling his product in person, but also works with customers to make custom orders, takes holiday orders and does special events. Buttery served up its modern twist on old-fashioned kettle corn for film screenings and other festivities at “Haunted Little Tokyo,” a month-long celebration for the Halloween holiday season conceptualized by the owners of Cafe Dulce and Wolf and Crane and now produced by the Little Tokyo Community Council in partnership with Councilmember Jose Huizar’s office. It is a community effort to promote the culture, history and offerings in the historic Japanese American neighborhood. The company donated a portion of its sales from these events to Little Tokyo Community Council and the Japanese American National Museum. From festive occasion staple to holiday gift to movie watching essential, the many avenues for Ida’s product shows how versatile the simple snack can be. But Ida is also turning a new page in the kettle corn recipe book. With his wide array of flavors and detailed approach to popping and seasoning, he takes the traditional treat to newer, more delicious heights. 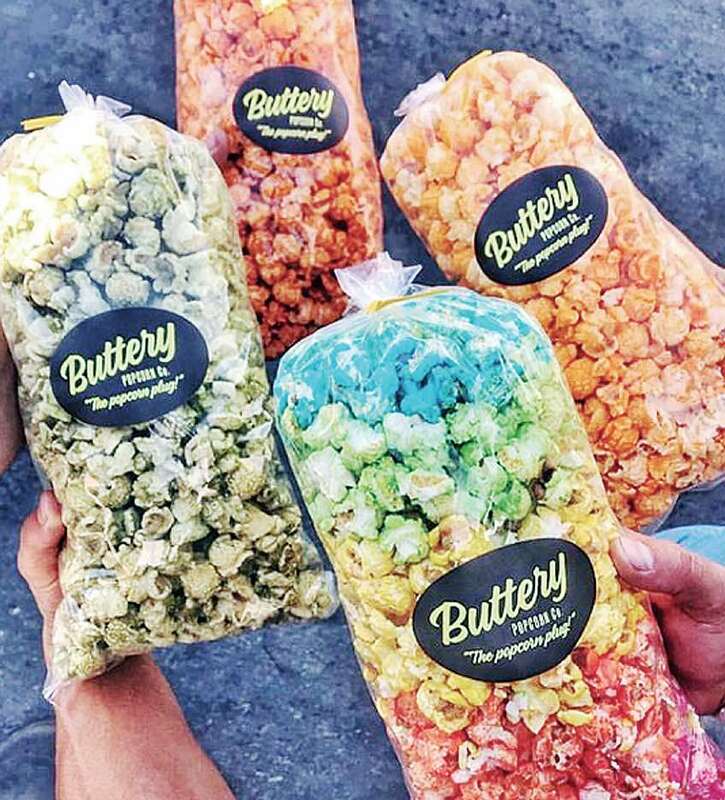 Launched in October 2017, Buttery Popcorn Co. came to fruition after many years of farmer’s market and restaurant experience. Ida estimates that he has worked at over 20 restaurants, where he learned everything from customer service as a host to professional food preparation as a cook. One signature L.A. bakery in particular left a lasting impression on the young chef. Already knowledgeable about subjects such as sanitation and knife work, Ida felt reassured by his co-workers that his ample first-hand knowledge had come to outweigh any need for more formal training. Ida had spent six searching years trying to finish his undergraduate degree at CSU Fullerton, starting out in graphic design, then moving to art education as well as taking courses in business and accounting. While he enjoyed his classes, it was the self-taught cooking lessons he began to devote more and more time to. Recognizing his talents in the kitchen, friends encouraged him to continue his cooking. Initially his dreams of opening his own eatery revolved around his cravings. At various times Ida thought of owning everything from a pancake restaurant to a coffee shop. His other early business ideas show the creativity and fun seen today in Buttery Popcorn Co. — a carwash with a Jalisco-style fish taco shop, a barbershop with a bar in the back, a clothing brand aimed at chefs. After gaining more business experience and reading books on marketing, Ida decided he needed to focus on one thing and soon Buttery Popcorn Co. was born. However, the focus on kettle corn hasn’t stopped his flow of ideas; instead they’ve evolved into other topics like agriculture, health and quality of ingredients. There were other learning lessons along the way too. Ida educated himself on the chemistry behind popcorn, perfecting the proper temperatures for popping kernels and deciding to come up with his own flavoring approach after deciding traditional methods were not for him. Buttery Popcorn Co. topically seasons after the corn is popped rather than using a liquid, resulting in a lighter taste and crunchier texture. As a child himself, however, Ida wasn’t as attached to food as some of his customers. Although he did first make kettle corn with his father and sister during the holiday season and grew up in a fifth-generation Japanese American household where there was always food on the table like Spam musubi and Hamburger Helper, he didn’t truly appreciate food until wrestling competitively in high school, where he was on varsity all four years. “When I had to cut weight for wrestling, I would wake up in the middle of the night wrapped in sweaters, fasting, and allow myself to have one bite of something — so I had to pick well,” he recalled. Wrestling’s winter season coincided unluckily enough with food heavy occasions such as Thanksgiving, and Ida can still vividly recall each well-picked ration of pumpkin pie and his grandfather’s homemade candied yams. Whether it was a hidden talent or something honed out of athletic torture, Ida’s knack for knowing good flavors is certainly seen today in Buttery Popcorn Co.’s offerings. But Ida does not just care about his popcorn being delectable, he also wants it to be adventurous, experimenting with flavors as varied as seaweed and barbecue. He attributes this flavor variety to the diversity in Los Angeles as well as to his father, who he obeyed without question at sushi bar Taihei in Monterey Park. Though Ida and his parents are Southern California natives, his far-reaching Japanese American family heritage can be traced back to the Northwest and Southwest regions of America. Ida’s father, a shop foreman, came from a family that once had a fish market in Seattle, and his mother, a paralegal, has family roots in Arizona, where her family once owned a farm. With well-established roots in America, Ida is far more a native to the Southern California Japanese American community. His family passed on a confidence and ease to him apparent in his open and down-to-earth perspective on his heritage. As outgoing and amiable in personality as his popcorn is vibrant and colorful, he had an active childhood and had friends in both the surrounding Asian and Hispanic communities. His family was very involved with local organizations, and Ida played in Japanese basketball leagues, belonged to Nishi church groups and took judo. His strong ties to the Japanese American community are recounted with warmth and humor. Wiry in build with a confident stance, Ida laughs off any notion that his rather athletic appearance comes from any training. “I think I’m just short,” he joked. Ida tried his hand at many sports growing up before landing on wrestling, playing third string on his football team (“I think I maybe did two plays,” he said) and did the 300 hurdles event on track. His father in fact set the record in a hurdles event at San Gabriel High School. With the establishment of Buttery Popcorn Co., Ida has undoubtedly found a way to stay very busy. It’s a colorful and fun start to a long future in the food business for this bright and imaginative young chef. 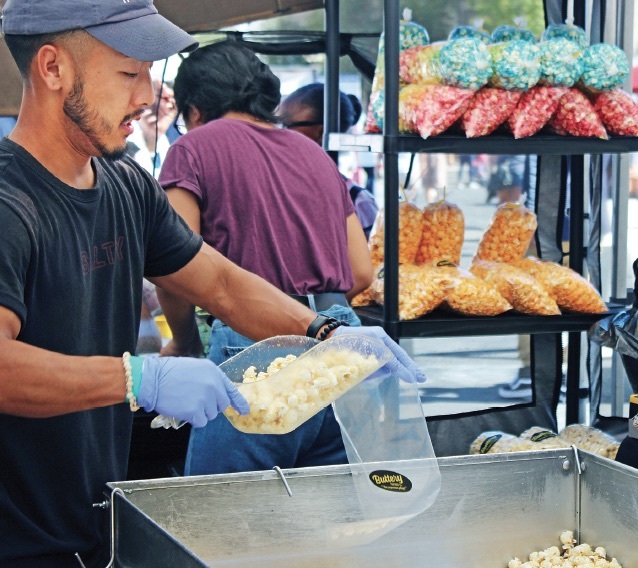 To purchase Buttery Popcorn Co. at farmer’s markets, visit them 10 a.m. to 4 p.m. on Sundays at Smorgasburg L.A., 785 Bay St., Los Angeles; 3 to 8 p.m. on Tuesdays at Old L.A. Highland Park Certified Farmers Market, North Avenue 58 and North Figueroa Street, Los Angeles; 3 p.m. to 8 p.m. on Wednesdays at Lincoln Heights Certified Farmers Market, 2800 N. Broadway, Los Angeles; and 6 to 10 p.m. on Fridays at La Puente Live, 15800 Main St., La Puente.